Survivor South Africa – Santa Carolina Now you can experience the beauty of Paradise Island, with one major difference – sheer luxury! Paradise Island, now known as Ilha Santa Carolina is a tiny coral rock island in the Bazaruto Archipelago, a group of 5 islands near the town of Vilanculos – approx. 800 km North of Maputo. 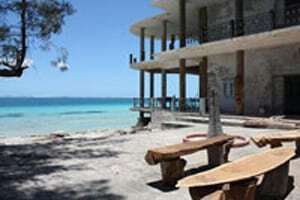 The larger neighbouring Bazaruto Island is home to Indigo Bay Island Resort & Spa. This stunning resort is the definitive Indian Ocean island resort with pristine white beaches, clear turquoise waters and some of the world’s best fishing and diving to explore. 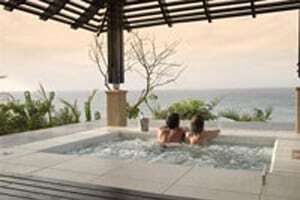 A perfect getaway for families, honeymooners or executive incentives. Day trips to Paradise Island / Santa Carolina are arranged from Indigo Bay, so guests can explore this fascinating island where 18 SA Celebrities tried to outwit, outplay and outlast each other on Survivor SA – Santa Carolina. Indigo Bay has 29 Beach Chalets, as well as a stunning Beachfront Honeymoon Suite only a few metres from the beach with its own private splash pool. There are also 12 Luxury Bay View Villas, each with two bedrooms, and for added luxury, there is the Executive Villa (Matemo Villa) and the Presidential Villa with all the interior luxuries of a 5-star suite. 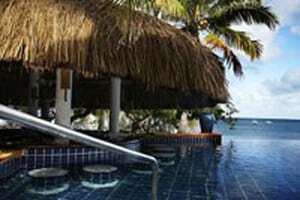 The resort has 3 restaurants and 2 infinity swimming pools; one with a Wet Pool Bar and the other with caves and waterfalls for added excitement for children. 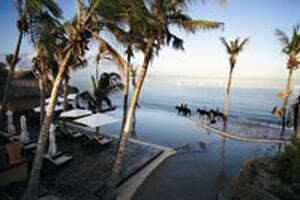 The wide range of activities include Scuba diving, fishing, horse riding, dune boarding, and various watersports. There are 2 tennis courts and even an innovative Qolf course. The Wellness Sanctuary Spa offers the ultimate in pampering, and kiddies can be entertained at the Children’s Leisure Centre. All brides at Indigo Bay receive a 50% discount on the accommodation rate on stays of 4 nights or longer. 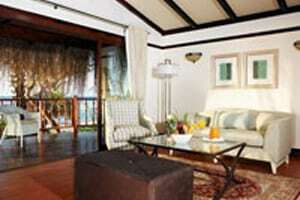 Honeymooners also get an additional night free during Low season periods. Honeymoon couples receive a bottle of Sparkling wine; an authentic Dhow cruise for two; Honeymoon surprise gifts; a romantic turn down and a free Spa Rasul treatment for two. Special valid from 1 June – 31 July 2010, subject to availability, exchange rate fluctuations, any transfer, airfare or departure tax increases, etc.